We’ll see what I can find, it’s not that I’m getting or gathering a lot of bourbons or American whiskies in general… But they do trickle in! Oh and I'll need your help with one of them, thanks. Corsair ‘Triple Smoke’ (40%, OB, American malt, +/-2017) Some malt whisky distilled in pot still from barleys that were smoked using peat, cherry wood, and beech wood, hence the name. The distillery’s located in Tennessee – and I find it a little strange that they would have gone 40% vol. Colour: gold. Nose: really light, and rather fruity at first nosing. No peat explosion at all, rather whiffs of cherry jam (does that come from the cherry wood?) and then quince jelly – which I always enjoy – and a little soft yellow curry. A little gingerbread too. Mouth: really light, but most pleasant, not very smoky – but smoky it is – with good marmalade and preserved peaches, a few raisins, and orangettes (those zests that have been dipped into chocolate). Too bad the body’s a little thin. Finish: short to medium, a tad smokier (could you smoke peaches?) and with notes of sweet wholegrain bread. Maize. Dry cocoa in the aftertaste. Comments: I find it really strange and very retro to have chosen this low strength. A shame because it’s really good, just rather frustrating. SGP:432 - 79 points. Sonoma County ‘Cherrywood Rye’ (47.8%, OB, USA, +/-2017) I’m a fan of what these good people are doing. I’ll always remember the first little bottle I found while touring poor Napa, quite some years ago. Love their regular rye (WF 86) but this very one was smoked using cherry wood, as the name suggests. Californian cherry wood? Colour: deep amber. Nose: yeah! This is what I enjoy in these young crafty Americans, they have no limits and they make whiskies that are very ‘different’. This one’s full of bitter oranges, cranberries, spicy bread (nosing papadums), and juniper berries. Lovely, and rather boisterous – in a good way. Mouth: all in keeping with the nose, with this typical spiciness, smoked fruits, bitter oranges, more juniper berries (Dutch genever), leather, and quite some green pepper and cloves. Tends to become a little fizzy. Finish: long and very spicy. Roasted pecans and more cloves. Only the aftertaste is a little drying (loses one point, there). Comments: worth trying, really. Perhaps on foie gras, for Christmas… (yes I know foie gras is now verboten in California). SGP:561 - 84 points. FEW ‘Rye’ (46.5%, OB, USA, +/-2017) Tried it in 2014 and rather loved it (WF 85). The Chocagoans may have further improved their recipe, let’s see… Colour: amber. Nose: where else would you find this much paraffin, brake fluid, fresh bread, and warm croissants? No worries, the paraffin tends to go away, leaving a rounder and softer nose, but there’s some very excellent Middle-european spicy gingerbread inside. Wee notes of truffle (not gas or sulphur!) Mouth: softer and rounder, and fruitier than expected. Spicy oranges, bergamot sweets (they make great ones in the city of Nancy), maple syrup, and caraway liqueur. It seems that it got a little sweeter and rounder over the years, no? Finish: long, spicier, and more rye-y. Some kind of spicy fudge covered with marmalade, apricot jam… Cinnamon cake in the aftertaste. Comments: they may have further improved their recipe indeed. SGP:561 - 86 points. FEW ‘Delilah's 23rd Anniversary’ (50%, OB, USA, 2017) American whisky bottled for a famous bar in Chicago. Never been there I’m afraid, I was more acquainted with Tom Jones’ famous song until now. Colour: amber. Nose: classic soft vanilla-ed cake-y bourbon-style American whiskey, with oranges and many pastries, butterscotch, cornflakes, milk chocolate, caramel, kougelhopf… It’s only moderately spicy this time, there shouldn’t be too much rye in there. With water: no, there is a softer ryeness, jams, touches of natural rubber… This baby takes water extremely well. Nectarines? Mouth (neat): much spicier on your palate, on peppered oranges and applejack, spice cakes, aniseed, caraway, and perhaps a few ‘ideas’ of modern Cognac. That would be the peaches. With water: very good. Some very skilled people in charge, as this should be very young. But the ‘youth’ does not feel, this is a mature product. Finish: rather long, caraway-y, with some honey and a touch of thyme tea. Comments: ‘Now the sun is up and I'm going blind (Holding on for your call), another drink just to pass the time (I can never say no)…’ Yes that’s in Tom Jones’ Delilah! SGP:551 - 86 points. I.W. Harper (41%, OB, Kentucky Straight Bourbon, +/-2017) An old brand that all old advertising aficionados – I’m part of them - know very well. They have aged ones, but this is the NAS version. Oh and I believe it is one of Diageo’s American brands. Colour: gold. Nose: very soft, shy, mildly fruity (tinned pineapples), and otherwise relatively undemanding. Banana cake, vanilla. Mouth: very soft, nice-ish, fruity, cake-y, honeyed, popcorny… Some overripe apples and some butterscotch. This soft baby won’t kill you, and it’s… nice. Finish: a little short, but clean, well made, soft, cake-y, with more preserved fruits and some cane syrup in the aftertaste. Comments: some very soft bourbon. I think it’s good, and of course it hasn’t got any flaws (which, in itself, could be seen as a flaw in this context). SGP:531 - 78 points. 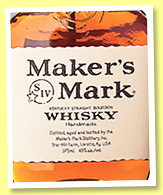 Marker’s Mark ‘46’ (47%, OB, Kentucky bourbon, +/-2017) In theory, were I a good ‘blogger’, I’d go try to find out why they’re calling this ‘46’ while the ABV is ‘47’. Colour: deep gold. Nose: croissants, chocolate, butterscotch, maize, vanilla, cardboard, pizza dough. I wouldn’t say there’s a lot of action here, but in a way, it’s a relaxing nose. Mouth: it’s the style of bourbon I’m not too fond of. Too sweet for me, too ‘smooth’ (the forbidden word), too vanilla-ed. Notes of sweet beer, with a bitterness in the background. India Pale Ale, sweets. Finish: medium, very bonbony. Sawdust and light molasses in the aftertaste. Comments: easy, but probably not my preferred style, I’m afraid, but that’s me, of course. SGP:630 – 72 points. Maker’s Mark (45%, OB, Kentucky Straight Bourbon, +/-1995) A bottle that I had bought twenty years ago – can’t remember why - and never opened. This is THE occasion, isn’t it… Colour: golden amber. Nose: much drier than the 46, more vegetal, with more buttered popcorn, hay, earth, damp wood, tobacco… In short, it’s less oaked, less sweetened, and in the end of the day, more complex. 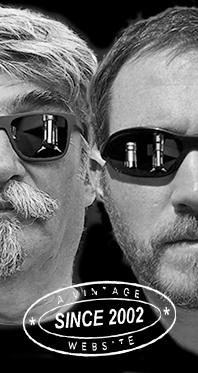 So far… Mouth: more body, more power, and other than that, a similar style than that of the 46. Oranges and apples covered with maple syrup, vanilla sauce, and more vanilla, corn syrup, sugar syrup, bonbons… Finish: rather long, on caramelised maize (right, popcorn) and a little sweet beer and fudge. Comments: good, easy, just not my preferred style. I may have said that before. But why did I buy this bottle, around 1995?... Travel retail, probably… SGP:630 - 75 points. 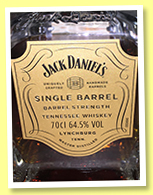 Jack Daniel’s ‘Single Barrel’ (64.5%, OB, for La Maison du Whisky, Tennessee Whiskey, 252 bottles, 2017) One of four casks that have been selected by La Maison this year. Colour: red amber. Nose: oh! Strawberry jam, pencil shavings, and a five-kilo bag of assorted sweets for kids. Actually, I’m finding this pretty nice, this baby takes me back to my formative years. Ha! With water: sweet oak, vanilla, bonbons, fudge, peanut butter, and good news, not a lot of coconut. Mouth (neat): decadent, very sweet, very punchy, and very ‘square’. Vanilla, fudge, maple syrup, beeswax. Yep, that would be four flavours. With water: really nice, water brings out wee vegetables and herbs, Jerusalem artichokes, lovage, mashed pumpkins… I love the fact that it became drier, and certainly more complex, while losing any dull sweetness. Finish: long, and oaky in a good way. Teas, cinnamon, cocoa… And then gooseberries and cherry sweets in the aftertaste. Great balance. Comments: possibly my favourite Jack ever. Hope Keef’s got a case. SGP:740 - 83 points. 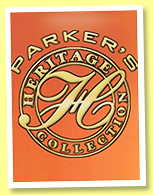 Parker’s Heritage Collection (64.7%, OB, Kentucky Straight Bourbon, bottled?) Good, I don’t know much about this baby, except that it’s ‘very rare’, and ‘not in any books or on any websites’. Neither do I know when it was bottled, all I know is that the ABV is correct, but Google is mute. So, should you have any ideas, please tell me on Facebook or send me an email, muchas gracias in advance! Colour: red amber. Nose: a whole cake, straight from the oven. I’m thinking of some kind of artisanal panettone, baked by the most skilled mamma in the word. Also roasted peanuts, buttered caramel, biscuits, almond paste, and just a drop of teak oil. Such concision is rather pleasing… With water: earth! Earth saves any whiskies! Mouth (neat): huge! Oranges as liqueurs, marmalades, juices, sauces… Then fruity spices, Szechuan pepper, borage, pansy flowers (great with various dishes)… But it’s really very strong, and tends to numb your tastebuds. So… With water: many tinier flavours, manioc, redcurrants, blood oranges, cranberries… Finish: long, and really fruitier than expected. Manuka honey? Some coffee in the aftertaste. Comments: more complex and interesting than many bourbons I’ve known. One of my favourites, for sure, but what is it, exactly? Who’s got any clues? Please? SGP:651 - 90 points.